Irene Simpson is left to die after having her memory removed. 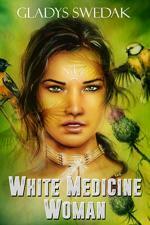 She is found by Bear Claw of the Bear Clan Indian Tribe and is adopted by his aunt, Magic Dove, the Medicine Woman of the tribe. But not everyone is happy about that and she is kidnapped and has to find her way home to Great Bear’s encampment. View more books in the genre "Horses".